With the Lake District’s track record for rain, we were a bit worried about the weather at Whinfell in early June. We needn’t have been – I think we got one light shower during the whole week we were there, and other than that it was lovely and sunny. 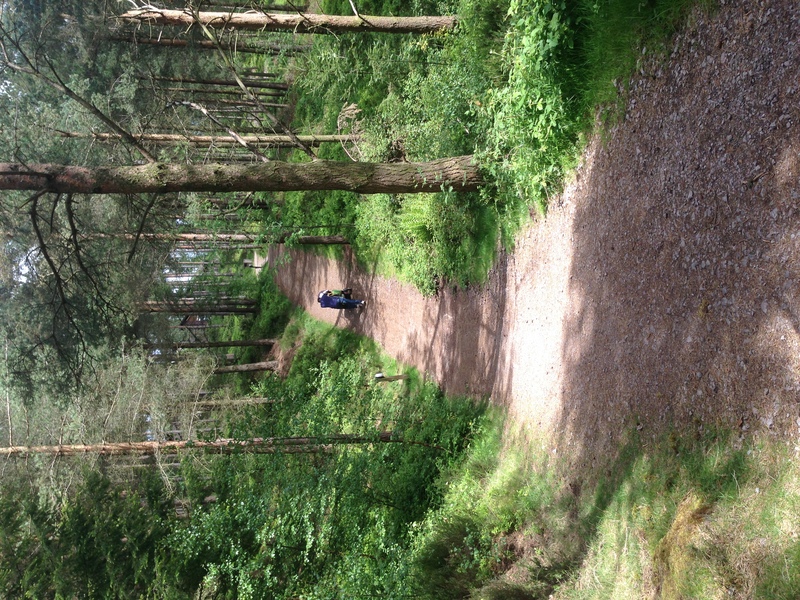 That meant we could make the most of the outdoor activities, and at Center Parcs that’s kind of the whole point. It’s very much a get-up-and-do-something kind of break, and, what with it being in a forest and all, a lot of the focus is outside. Here are 6 of the things we got up to during a week-long stay at Whinfell Forest, both free and paid-for. If you want to see what else is on offer in the way of outdoor activities, take a look at the full list here. And if you’re planning a trip, make sure you read this post about self-catering essentials to take with you. The smaller playground, next to the sports plaza. We found 2 play areas for kids at Whinfell, although I suspect there may have been a third we couldn’t find (for some reason the play areas aren’t marked on the maps dotted around the village, even though everything else is). The first is right by the entrance to the village centre where the shops and swimming pool are. At 2-and-a-half, the Boy was a bit young for some of it, although he could have a go at most things – like the zip-wire – with the help of an adult (thanks, grandad). There are plenty of things to climb on, jump on and whiz down, and it wasn’t too busy, although we were there during school term which made a big difference. Opposite the park there’s a nice grassy area with a few picnic benches, which isn’t something I’ve noticed at any other village and is great if you’ve packed your own lunch. The other playground is right next to the sports plaza, so you can grab a coffee from Starbucks and there are plenty of tables and chairs next to all the action. 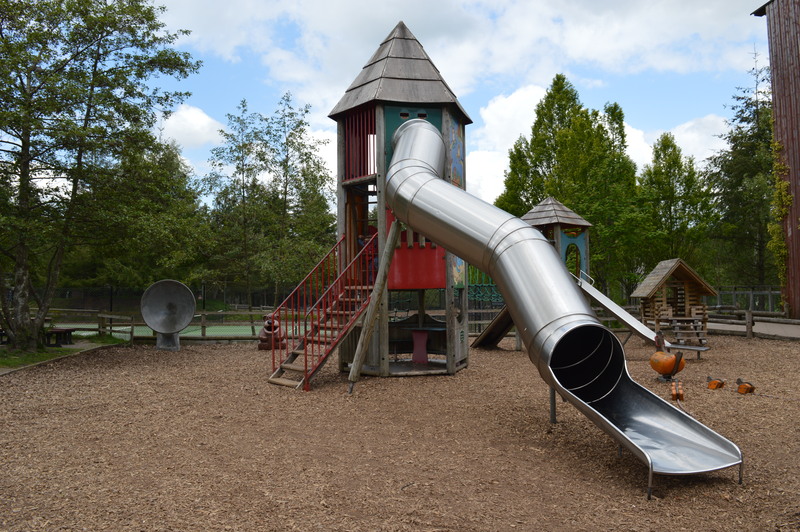 This park is slightly smaller but more suitable for young children, and there’s a separate section for toddlers with a little sand-pit. There’s a mini beach at every village, and Whinfell is no exception. It’s tiny, but there’s just enough space on the sand for little ones to play with a bucket and spade. You can hire a boat to take out onto the lake from here, too. We took the kids off for an afternoon nap in the buggy and wandered through the forest – we didn’t see another soul while we were out there. 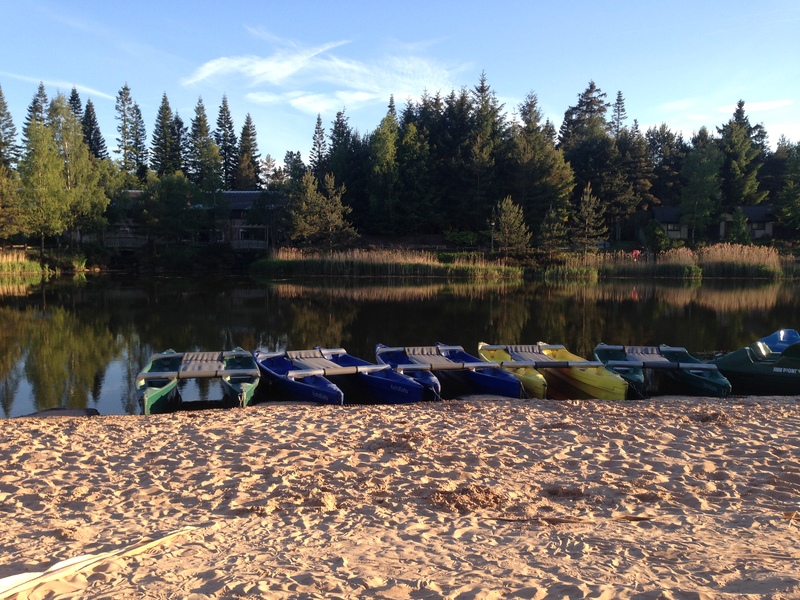 Granted, it’s probably not top of the (long) list of things to do at Center Parcs, but it’s well worth it at Whinfell as the scenery is gorgeous. It’s quite hilly so our Phil & Teds Explorer was put through its paces, but it’s definitely doable. We followed a few of the walking trails right to the edge of the forest and saw some of the new lodges being built. I find the place a bit of a maze, but it’s not really possible to get lost as there are signposts throughout pointing you back to civilisation. Plus, The Boy got some use out of his magnifying glass once he woke up. If you want some peace and quiet, you can’t do much better than the little bird hide hidden in the thick of the forest. There was nobody else there when we went, and The Boy loved spotting feathery friends through the windows. (The Girl was less impressed, and slept for the duration, hence the peace and quiet). There are loads of paid-for nature activities if your family are wildlife fans. 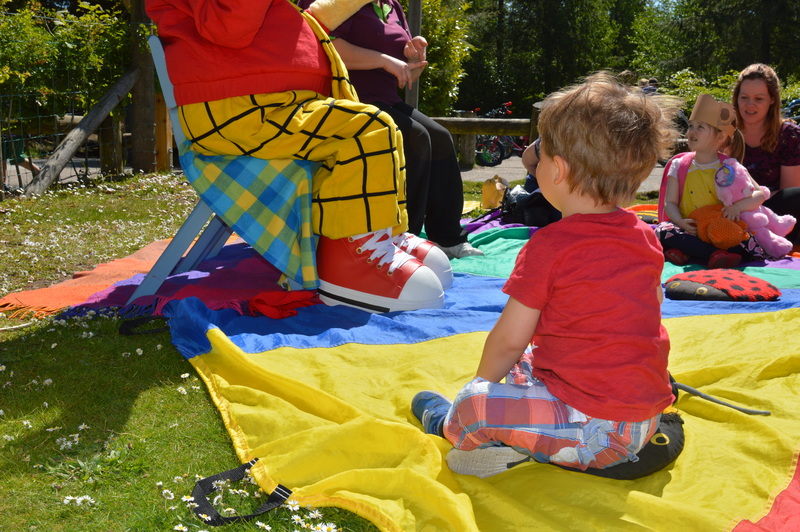 For £8 you can book your toddler on a teddy bears’ picnic. We know this because we’ve done it THREE TIMES. For that they get a little lunchbox with Pom Bears, raisins, a sandwich and some juice, plus a chance to meet Rupert The Bear, some stories and songs, and a Center Parcs teddy bear at the end of it. That’s £8 well spent in my book, and the Boy would have done it every day if he could. Just remember to bring sun cream and hats unless the weather is bad, in which case it’ll be indoors. I’m sort of cheating here because we didn’t actually hire a bike on this break, but we did it during a recent stay at Elveden. All the villages have a huge cycle centre, and it’s a nice way of getting around – particularly if your lodge is quite far from the centre. We were staying with friends so we hired a 4-person ‘bike’ (I’ve no idea what it’s called) per family and had far too much fun racing each other around the village like a bunch of idiots. You can of course bring your own bikes with you, which will also save you a fair bit of money. As a guide, an adult bike will set you back about £24 for your stay, and a child’s bike £12. You can also hire trailers for toddlers, and The Boy even had a go at a balance bike class. There’s more info on cycle hire pricing here.